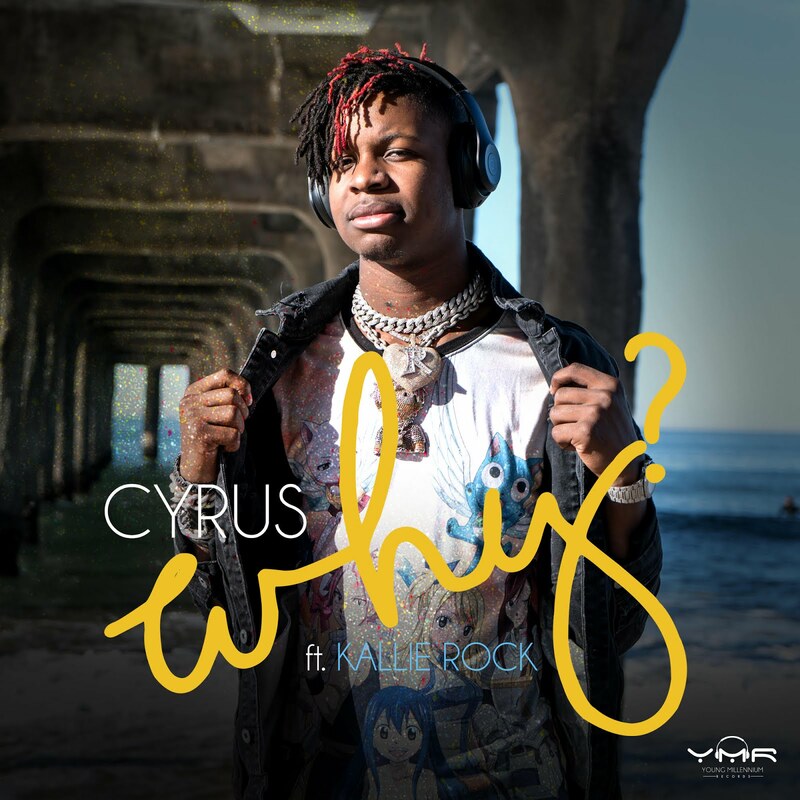 Los Angeles native, Cyrus Smith is stirring up feelings and creating a new Summer sound with his current single, "Why", featuring Kallie Rock. Also known as Kid16, Cyrus stays true to his name by creating a single that gives a youthful vibe that keeps fans grooving to a fun and relatable story of summer romance. Cyrus' story of young love features Kallie Rock, another rising star in the music industry. Kallie's poetic twist on Pop music creates a sensation that brings a nostalgic feel to this 'feel good' track. As a fresh face on the music scene, Cyrus is no stranger to hard work and has an ear and heart for good music. His freshman track “BAGZ” reached the #ATLTop20 #Certified100 list and he has already opened international shows for industry greats, such as Cardi B and The Migos. Expect a new flavor of hip-hop on this upcoming album Kid 16 4ever and continue to watch out for Cyrus on the rise! The single "Why" is just a taste of what Cyrus has in store on his upcoming album entitled Kid 16 4ever that is set to be released this summer. Kallie Rock is a rising pop artist and disrupting the status quo with her unique style, and musical skill and variety. Hailing from Orlando, Florida, Kallie has adopted a creative sound inspired by the world’s favorite Pop artists of the 90’s. As a protégé of Steve Lobel, Manager of world-renowned music legends, "Bone Thugs-N-Harmony, Kallie Rock is on her way to the top and is ready to show the world her version of Pop music. Cyrus Smith and Kallie Rock have young and creative energy that is just what the music industry needs. "Why" is just a sample of what these two have up their sleeves and they are both definitely artists to keep on your "new music" radar.